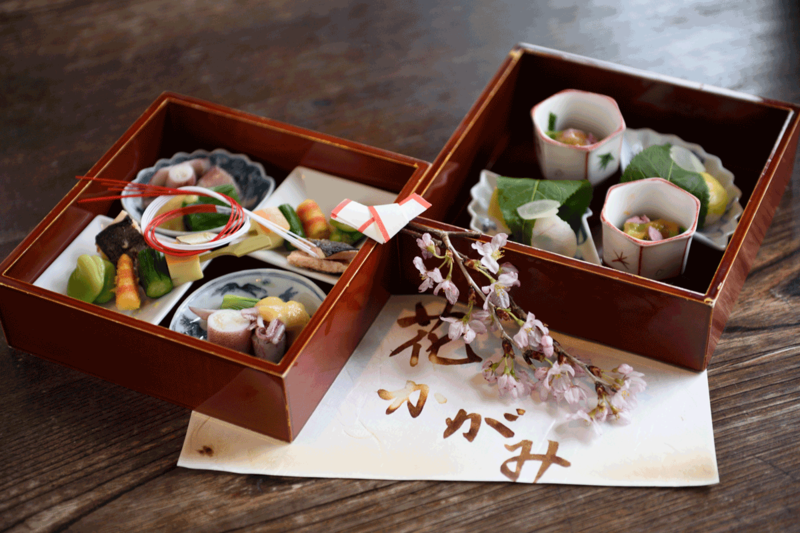 Ms. Nakamura has been the GM and “okamisan” or traditional head of a ryokan at RYOKAN KURASHIKI since 2005. 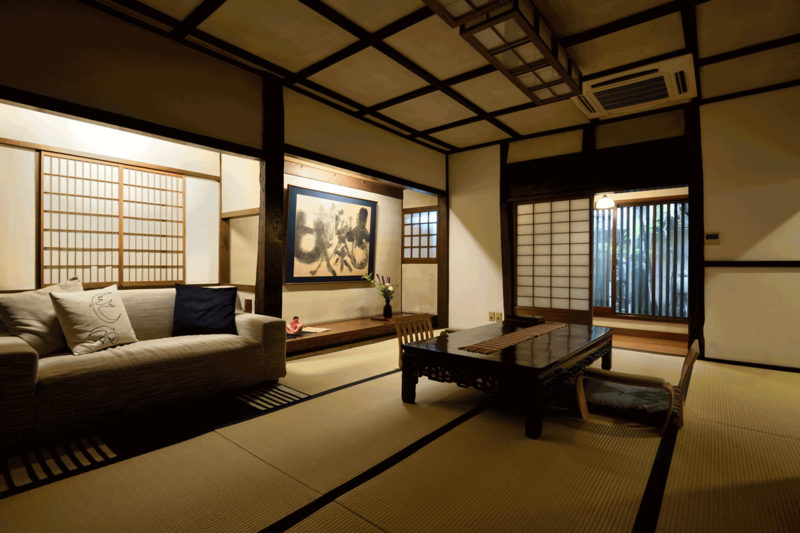 Luxury Boutique; member of the Ryokan Collection. Co-existence and co-prosperity with the local community to promote our history and traditions. 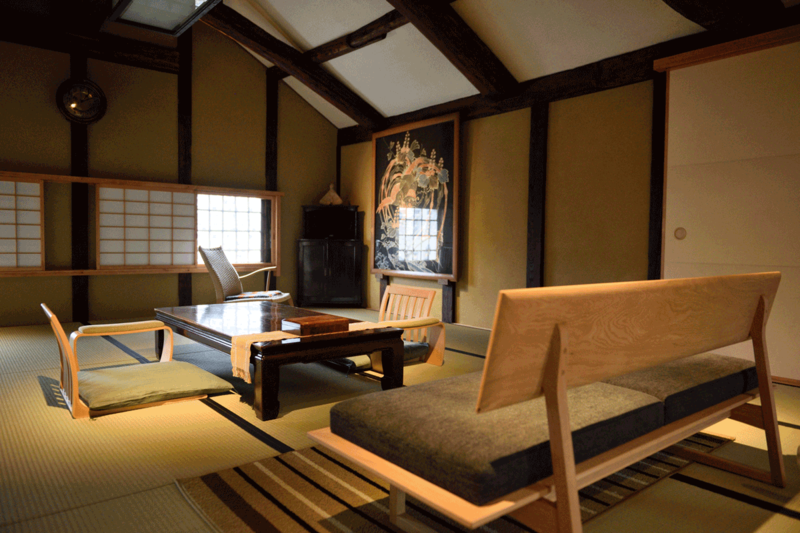 Ryokan Kurashiki began life as the shop, office and home of a successful sugar merchant in the Edo period (1603-1867). 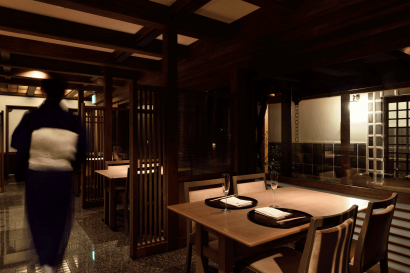 When the transformation to an inn began in 1957, the architect skillfully integrated several adjoining kura (storehouses) to create an expansive space containing seven suites and a room, a private dining room, a private salon, a bathhouse, and a restaurant. 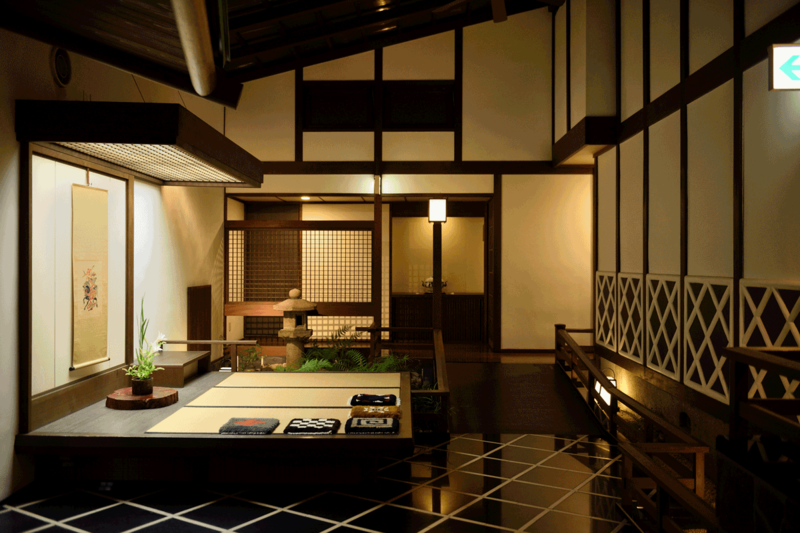 1st December, 1957 Transformation to the Ryokan from the merchant office and residence, designed by Shizutaro Urabe. 1st July, 2005 Upgrading renewal and creation of five suites. 1st April, 2017 New two suites and one room have been remodelled/created, designed by Ryusuke Fujioka. Each room has a private ensuite bath and a unique design (plus every suite has Western-style beds), blending traditional Japanese aesthetics with a modern touch for added comfort. With just eight rooms, Ryokan Kurashiki prides ourself on going the extra mile when it comes to meeting any guest’s needs, such as dining and entertainment options around the ryokan in the historical preserved town or in neighborhood cities. Whether the stay is long or short, we promise to provide excellent support to create unforgettable memories at Ryokan Kurashiki. Kurashiki city is located 1.5 hours west of Kyoto or 1 hour east of Hiroshima by train, adjacent to the Seto Inland Sea. The city is well known for the BIKAN historical preserved area. Ryokan Kurashiki is located at the foot of Nakabashi Bridge in the center of the district, perfectly placed for exploring the town’s many attractions. 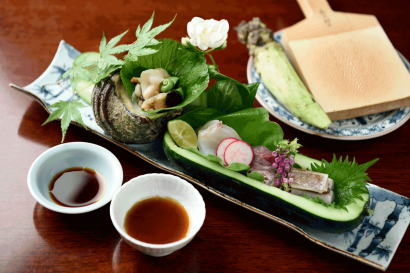 The location near the Seto Inland Sea is famous for its variety of fresh fish and seafood, while the surrounding land produces every kind of fruit and vegetable imaginable. Together, they provide our chefs with the raw ingredients needed to create truly authentic cuisine, reflecting the passing seasons and original local flavors. The best activity in the area is strolling around the historical district. Its narrow streets are lined with traditional warehouses, storehouses, and the former homes of merchants from 100 to 400 years old, recognizable by their thick black and white patterned walls and shiny black tiled roofs. Small boats drift through the willow-lined canal, completing the experience of this traditional and timeless area. 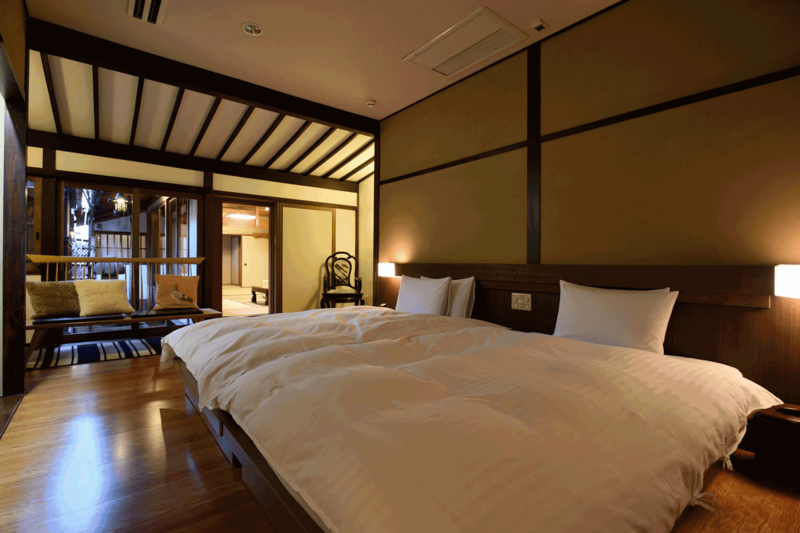 1 suite, NISHI and 1 room, YU are available for children of any age. The other six suites are available only for 13years or older. 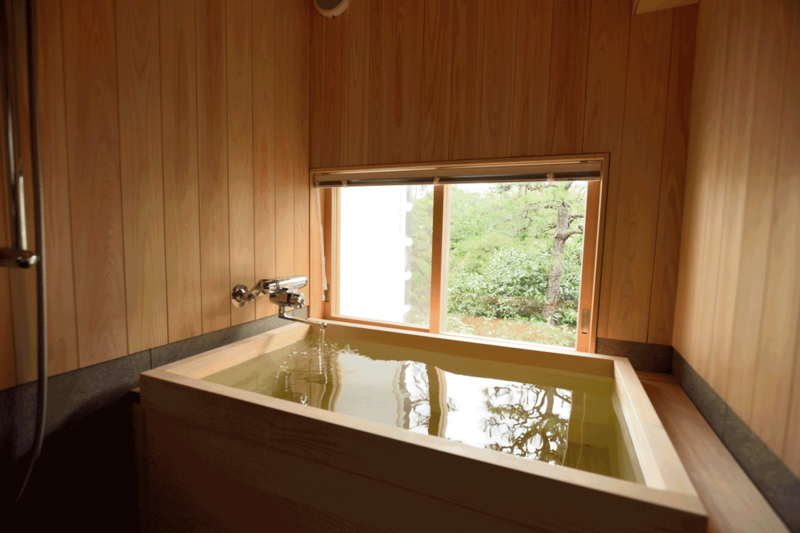 89.8sqm with 2 Japanese rooms, 1 Western bedroom, a private bath with Jacuzzi and a shower, a shower room and 2 toilets. 63.1sqm with 1 Japanese room with canal view, 1 Western bedroom with garden view, a private wooden bath with shower and garden view and 1 toilet. Located on the second floor of a 160-year-old sugar storehouse. 75.8sqm with 1 Japanese room, 1 Western bedroom, a private bath with jacuzzi and shower and 1 toilet. 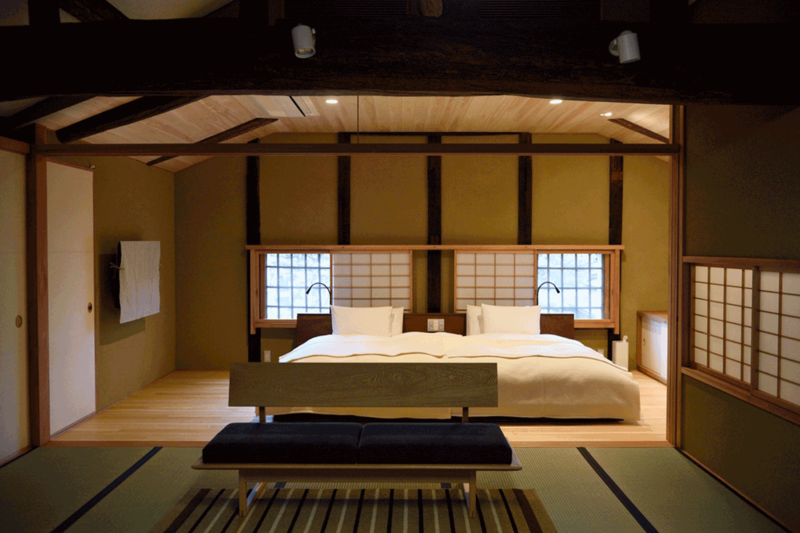 Located on the second floor of a 270-year-old rice granary. 70.2sqm as a duplex with 2 Japanese rooms, 1 Western bedroom, a private bath with jacuzzi and a shower, a shower room and 1 toilet. Located in a 310-year-old tool warehouse. 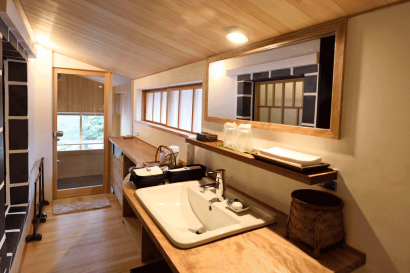 46.7sqm with 1 Japanese room with canal view, 1 Western bedroom, a private wooden bath with shower and 1 toilet. Located on the second floor of a 160-year-old merchant office building. 64.6sqm with 1 Japanese room, 1 Western bedroom, a private bath with jacuzzi and shower and 1 toilet. Located on the first floor of a 270-year-old rice granary. 66.5sqm with 1 Japanese room, 1 Western bedroom, 1 small Western parlor, a private bath with jacuzzi and 1 toilet. 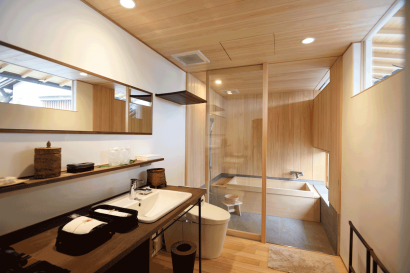 33.3sqm with 1 Japanese room, the best canal view and the best garden view from private wooden bath with a shower and toilet and futons (Japanese beds) will be prepared. Located on the second floor of a 160-year-old merchant office building. Common amenities: shampoo, conditioner, body soap, cleansing cream, face water, skin milk, moisture gel, face wash foam, skin care soap, cotton buds, toothbrush, shaving foam, razor, hairband, shower cap, comb, hairbrush. In every room: yukata (Japanese cotton robes), hairdryer, humidifier, aroma diffuser, refrigerator with complimentary drinks. Required half-board (Dinner ) at least one night; B&B is available for additional nights. 1 restaurant (nine tables with 42 seats, Japanese cuisine. Opening hours 7:30-10:00 for breakfast, 11:00-14:00 for lunch, 14:00-17:00 for tea and 17:00-22:00 for dinner. 1 lounge (16 seats, complimentary coffee, English tea, Japanese green tea, local Japanese sake, and sweets. Opening hours 6:00-11:00 and 15:00-24:00. 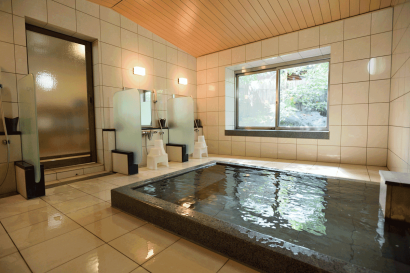 1 private bathhouse, available for guests to book for 1 hour. Opening hours 6 :00 – 9 :00 and 15 :00 – 23 :00. Private cooking class (advanced inquiry required).